Wow, these past few winter weeks have been some rough ones in our household! We got blasted by about three different flus, were snowed in by a pretty nasty blizzard, and have had the usual ups and downs that come along with baby and toddler days. 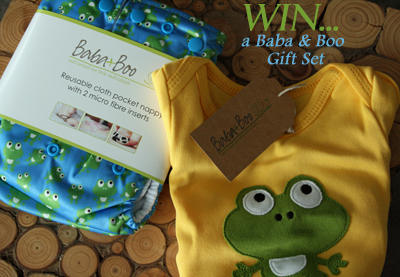 So, imagine what a lovely surprise it was to receive this sunny little gift set to try from Baba and Boo! 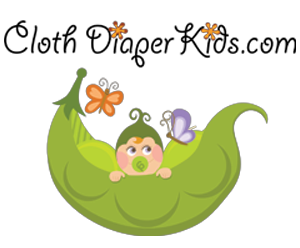 Now, I have worked with a LOT of cloth diaper manufacturers, retailers, brands, and WAHMs over the years, but I have to confess, as far as cuteness and originality goes, I think Baba and Boo may just take the cake! What's perhaps most impressive is that this gorgeous UK-based name, which boasts a variety of cloth diapers, accessories, matching shirts, bibs, shoes, and more, is all headed up by one lovely work at home mom, Eve! Look as far and wide as you want, I don't think you'll ever see shirt and diaper sets this cute anywhere else: Baba and Boo's got little frogs, foxes, hedgehogs, robots, bunnies, and even Russian-nesting dolls (seriously, go check out all their gift sets here--they'll make you squeal from the cute overload!). I did a bunch of thorough oohing and aahing when I got this darling parcel in the mail. 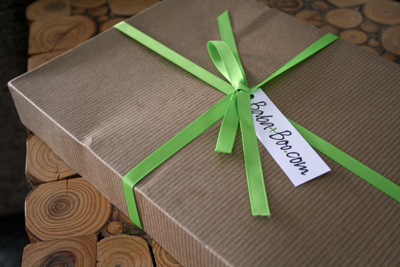 The lovely packaging comes included when you buy one of these "Gift Sets" to give or mail to a friend. That gives it the special gift feel right off the bat. I would have loved receiving a set like this on my doorstep when I was pregnant! 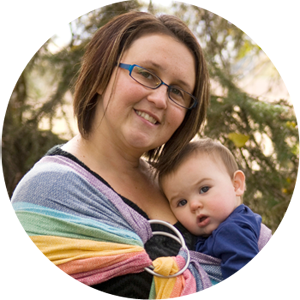 What I've learned over the years with cloth diapering, though, is that (sadly!) cute does not always a good diaper make! After all, I've had adorably cute diapers before that ended up being bulky, or leaky, or hard to launder. So I didn't count my chickens before they hatched when I got this darling gift set in the mail--I held my breath and crossed all my fingers and toes as I tried it, and washed it, and hung it to dry, and stuffed it in different ways, and tried, and tried, and tried it again. And what I discovered (to my joy!) was that not only is this a cute diaper, but this is a well-functioning, great-fitting diaper, too! This is a typical waterproof-shelled PUL pocket diaper. It stuffs from the back with microfiber inserts (each diaper comes with two). These inserts are much more plush and soft and dense than others that I've received with similar pocket diapers before. With my older microfiber inserts, I usually have to stuff my son's diapers with two these days as he's a heavy wetter and often leaks through the squashed old inserts in my stash. I decided to only ever try these inserts solo though--to see how they would hold up. They never, ever leaked, even with my heavy wetter, which was a great sign! This smooth PUL diaper is trim-fitting and cute enough to be worn pantless! I love the snap pattern on these pocket diapers, as well. They have a square tab crossover style with a hip snap; this is always my favorite diaper snapping pattern as I find the tabs don't curl like round ones do. The crossover capacity gives a lot more flexibility in getting a good fit on baby's waist, especially for babies who are in between sizes. The hip snap helps eliminate drooping and leaking from the hip and thigh area. 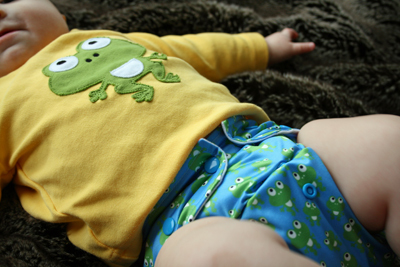 This diaper also snaps through the rise to adjust for small, medium, and large-sized babies (the range on these one-size Baba and Boo diapers is approximately 8lbs through to toddler-sized). The inside of this diaper is a soft microsuede that is easy to clean and always came out of the laundry looking clean and smooth. 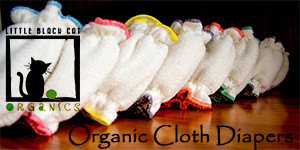 Likewise, the 100% organic long-sleeved t-shirt was soft and easy to care for with the rest of my baby laundry. Even after many washes, it kept a good fit and stayed soft and smooth. The workmanship on all of Baba and Boo's items must be very high quality, if these two items are any indication. And--lucky for one of you--you also now have the chance to win one of these amazing gift sets (a diaper plus t-shirt) for your baby, too! Simply fill out the entry form below!